Commissioned by the Finnish Broadcasting Company. …a la fumée is the second part of a whole consisting of two works Du Cristal …a la fumée. Both pieces are for large symphony orchestra, and both last about 20 minutes. Du Cristal does not have soloists, in …a la fumée the orchestra is joined by two solo instruments which are electronically modified, alto flute and cello. “In my mind Du Cristal …a la fumée is one world with two faces, both completely defined, living and independent.” A diptych then, with the two parts born from the same material, but still independent and separate works: the same material can develop and multiply in different directions. The difference between the two works is already manifest in the title: crystal is a classic example of repeated order, symmetrical, tense, stable mass. Smoke, on the other hand, changes its form constantly, an unpredictable, developing state. Crystal and smoke, like order and entropy, chaos. The title is inspired by a book by Henri Atlan, Entre le cristal et la fumée (Between the Crystal and the Smoke). A bridge links the two parts of the diptych together. Its beginning is at the end of Du Cristal where the principal cellist of the orchestra stays alone, playing a long trill sul ponticello. At the other end the cello soloist of …a la fumée takes over the relay, opening the piece with the same gesture. The bridge is a mirror, in which the two faces of the work are reflected. Not symmetrically, but like two different worlds, one in front of the mirror, the other behind it. The two worlds are governed by different laws, they apply different logics. Kaija Saariaho’s only work for orchestra before Du Cristal …a la fumée is Verblendungen (1984) for orchestra and tape. After that, solo pieces for different instruments and pieces for chamber music ensembles can be found in her list of works. The factor that they all have in common is the enlarging of the world of traditional instruments by means of electronic modification. The orchestral diptych is, in a way, a summary of Kaija Saariaho’s style of the 1980’s. At the same time we can see in it, especially in …a la fumée references towards new challenges, towards a new way of shaping form. The single most important element in the music of Kaija Saariaho is tone colour, attached inseparably to harmony. In this sense she can be thought of as continuing the French orchestral tradition. Her music does not, however, only feast on beautiful sounds. The starting point of composition for her comes from a carefully studied theoretical basis. The origin of her music is a single sound which she penetrates, trying to uncover its structure and the laws that govern it. With these laws, just by changing the scale, the composer builds colours, harmonics, forms, rhythms – music. 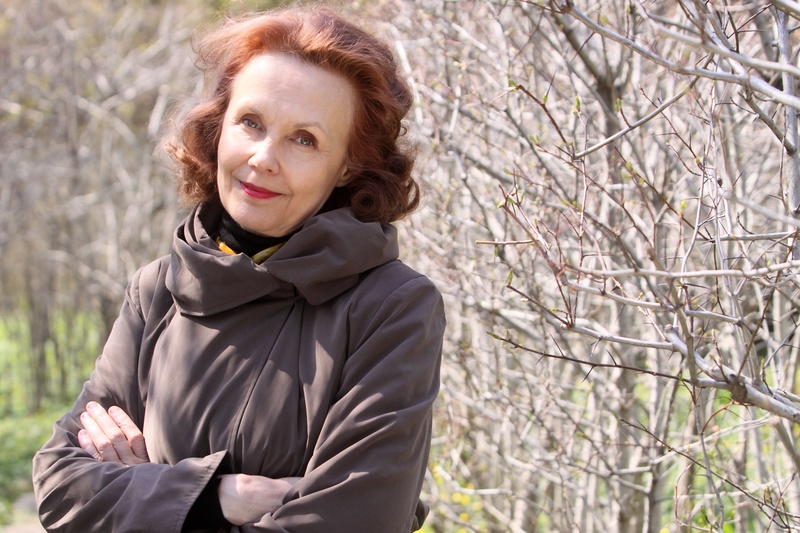 This starting-point ensures that all the works of Kaija Saariaho have a strong sense of unity. Elements that seem different fit together, because they are basically born from the same source. This approach is related to the serial method in which all the parameters of a composition are drawn from one origin. What is special for her is that – unlike composers who employ a strict serial method – you can’t hear the theoretical thinking. The music flows naturally, as if it were free from previously decided patterns. Rather than associate Kaija Saariaho’s music with mathematical formulae or computer programs, it is more fruitful to compare it with nature – its biological and physical models. The composer herself has spoken of arctic lights, water-lilies, crystals, spirals: forms and materials which in themselves are perfect and beautiful and create aesthetic experiences, but which offer endless grounds for even scientific study. Observation of how the inner relations of organisms are built, how they change and multiply; how forms that seem simple and natural are of endless variety when examined closely: chaos and order can be closer to each other than we first suspect. The tensions in Kaija Saariaho’s music, its dramaturgy, are built on pairs of contrasts. One important pair of contrasts is formed by sound and noise. This is manifested, for instance, in the sonority of the cello: when the bow is moved towards the bridge, adding bow pressure, the sound breaks and turns into noise. On the flute, when you blow into the tube you can create noise (which has its own tone colour) and which changes into a sound when the air hits the mouthpiece at the right angle. In rhythm, a simple pair of contrasts is created between repetitive and irregular patterns. Gradual movement between two opposites, interpolations, create and release tensions in the same way as do chordal functions in traditional tonal music. It is no surprise that the soloists in …a la fumée are flute and cello. These would appear to be Saariaho’s favourite instruments given that many of her solo pieces have been written for them (for the flute, Canvas, Laconisme de l’aile, NoaNoa for the cello, Petals and Près). …a la fumée however, is not a normal double concerto, in which the solo instruments are contrasted with the orchestra. In this work, flute and cello are like microscopes with which the composer penetrates deep into her material, shedding light from different angles and changing the scale. György Ligeti, with whose earlier music Kaija Saariaho’s works have certain points in common, has spoken about a phenomenon familiar to most of us. When we go up in an aeroplane, we do not feel ourselves in motion. At the same time, details of the scenery disappear and merge into a whole. A meadow, swarming with inner energy, changes first into fields of colour, then into a bare point in the distance. The amplification of the alto flute and the cello serves this purpose: a whisper from the flute can grow to the scale of a big orchestra, a harmonic from the cello can be outlined above the whole landscape of sound. Is not one of the meanings of music, and all art, simply this? To create illusions, presentiments of a world that could be true. Du Cristal was written as a joint commission from the Helsinki Festival and the Los Angeles Philharmonic Orchestra between 1989 and 1990. The world premiere was given at the Helsinki Festival in September 1990 by the Finnish Radio Symphony Orchestra conducted by Esa-Pekka Salonen to whom it is dedicated. The first US performance was on 1 November 1990 by the LA Philharmonic. Salonen also conducted the world premiere of the second part …a la fumée with Petri Alanko and Anssi Karttunen as soloists, during the Helsinki Biennale in March 1991.